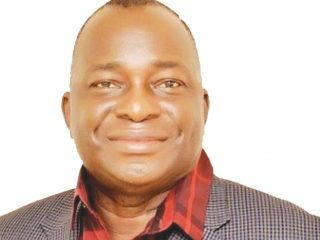 As the Peoples Democratic Party (PDP) engages itself in the process of re-engineering to play a major role in Nigeria’s politics, indications have emerged that the old members are preparing a return to give the ruling All Progressives Congress (APC), a run for their money. 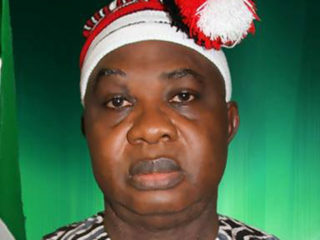 Since the July 27 judicial resolution of the leadership crisis of the Peoples Democratic Party (PDP) through a Supreme Court judgment, which many described as a resurrection of the political platform, many issues have been thrown up especially considering the party’s preparation to bounce back to political power in 2019. 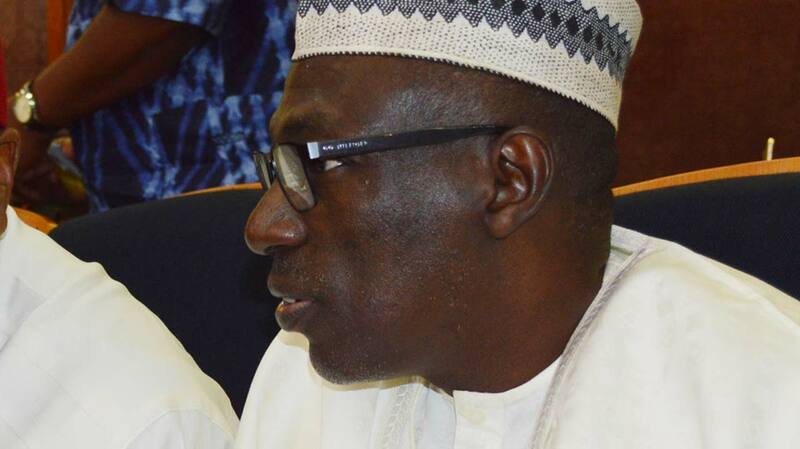 The no victor-no vanquished declaration by the Senator Ahmed Makarfi-led National Caretaker Committee, which boosted the hope of politicians who had nursed the ambition of realising political fortunes within the party, has become a double-edged sword. Many party members who were loyal to Senator Ali Modu Sheriff were quick in taking advantage of the peace deals believing that the political enmity, which lasted between the two camps for over a year, had come to a permanent end. In many states however, there were brick walls for these former members of Sheriff’s faction as many of them later found out that the no victor, no vanquished declaration was just a political statement that had its limitations.The emergence of Ekiti State governor, Ayo Fayose and his Rivers State counterpart, Nyesome Wike, as co-chairmen of the reconciliation committee further worsened matters as Sheriff’s loyalists saw the development as a clear order for their political annihilation. Both governors, who were initially supportive of Sheriff but later turned out to be his ardent critics, have never hidden their disdain for the former Borno State governor and they saw his judicial defeat as the first step to dealing with members of his faction. There is however a new twist to the peace deal which is even fast becoming very scary to many jubilant Makarfi loyalists who had even began to fight over the soul of the party. It is the extension of the peace deals to all those who had left the party in the past including many prominent persons serving in the Buhari administration. 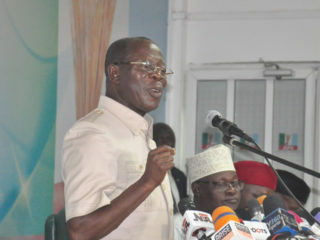 At the twilight of the PDP administration of Goodluck Jonathan, many top members of the party, including governors, senators, members of the House of Representatives, pooled together under the aegis of New PDP, left the platform and pitched tent with the APC and became a major bloc in the ruling party. In fact, with the alleged sidelining of politicians with PDP background in the APC government, many of them are suspected to be planning to dump the party for their former platform as the PDP leadership began to visit them pleading for their return. The open invitation and intense lobbying with pledges of total reconciliation is already yielding results as many former PDP top shots across the country are already signifying their intention to pick the umbrella again.Makarfi had, at several occasions, sent warning signals about his readiness to hand over political structures to those joining from other parties if existing members fail to embrace the reconciliation process. When last week, the Women Affairs Minister, Senator Aisha Alhassan, announced her preference for former Vice President, Atiku Abubakar, many were quick to link the development to Makarfi’s earlier decision for PDP appears to be the only open platform for that aspiration.In the past, there have been several allegations that Atiku had planted many structures in the PDP leadership to pave way for his eventual emergence as presidential flag bearer anytime he decides to go back to the party. The party, which was defeated by the APC in 2015 after 16 years on the saddle of political power in Nigeria, has already zoned its presidential ticket to the north, a decision that perfectly fits into the Atiku aspiration. The fact that like Atiku, Alhassan was a member of PDP, further fuelled speculations that the former Vice President is really set to making inroads in his former party. Last July, the Minister led a woman delegation to meet with Makarfi and members of the PDP National caretaker committee soon after the apex court judgment to apparently show solidarity and prepare the grounds for her godfather.Although, she claimed that the visit to Makarfi was to canvass for grater inclusion of women in the political process, not many were convinced, as a platform that includes other political parties and the ruling APC, would have been the appropriate one for the topic. “Atiku is my godfather even before I joined politics and again, Baba Buhari did not tell us that he is going to run in 2019. Let me tell you today that if Baba said he is going to contest in 2019, I swear to Allah, I will go before him and kneel and tell him that ‘Baba I am grateful for the opportunity you gave me to serve your government as a Minister but Baba just like you know I will support only Atiku because he is my godfather. If Atiku said he is going to contest. “If because of what I said, I am sacked, it will not bother me because I believe in Allah, that my time has elapsed that is why. Baba is not a mad man like those calling for my sack. They have been sending it and spreading that if Baba sees this I will be sacked. “As we are talking now Atiku has not said he is going to contest. Why I said our president in 2019 is because we all hope he is going to contest, but he never told us that he is going to contest. But if he said he is going to contest I will surely do what I told you I would do. “Because if Atiku said he is going to contest and I remain in the cabinet of Baba while Baba also wants to contest, then I have become a hypocrite and I am not one. If I said I am not with Atiku, Buhari himself will not trust me at all because he will say I am a hypocrite.”From indications, if the door is shut against Atiku in the APC, the PDP, in which the Adamawa-born politician has many investments, would be willing to oblige him.